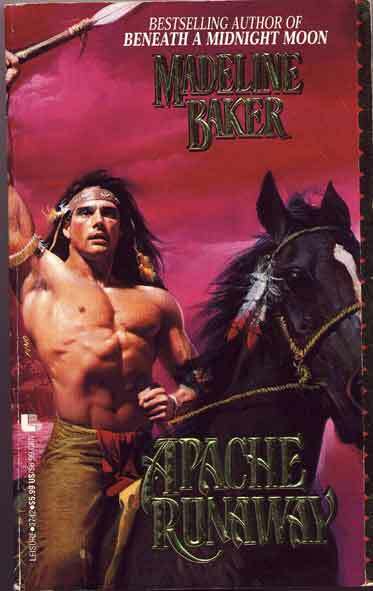 It seems to me that the heyday of the Native American historical romance is past. I may well be wrong, though, given that I'm in the UK and am therefore dependent on US review sites and the vagaries of Amazon.com's categorisation system for my information about this. In the 1990s, however, this area of romance was flourishing and attracting academic attention. Bird, S. Elizabeth. “Gendered Construction of the American Indian in Popular Media.” Journal of Communication 49.3 (1999): 61-83. Edwards, Cassie. "Indian Romance." How to Write a Romance and Get It Published. Ed. Kathryn Falk. New York: Signet, 1990. 455-58. McCafferty, Kate. "Palimpsest of Desire: The Re-Emergence of the American Captivity Narrative as Pulp Romance." Journal of Popular Culture 27.4 (1994): 43-56.
van Lent, Peter. “‘Her Beautiful Savage’: The Current Sexual Image of the Native American Male." Dressing in Feathers: The Construction of the Indian in American Popular Culture. Ed. S. Elizabeth Bird. Boulder, Colorado: Westview, 1996. 211-227. Wardrop, Stephanie. 'Last of the Red Hot Mohicans: Miscegenation in the Popular American Romance', MELUS 22. 2 (1997): 61-74. While the NDN hero vs "mixed"
While the NDN hero vs "mixed" hero isn't something I kept score of, it certainly felt like a half-white or partially white hero was the norm. Also we'd frequently have the fully white child raised in the tribe who identified with NDN culture but was also rejected by it. That always fascinated me, as the bloodline obsession of the white culture was transferred to the NDN culture and then castigatied. "Savage" romances declined sharply a few decades ago. I'd like to see NDN character return without the fetishization of same. Thanks for the background info. There are a lots of gaps in my knowledge which I can only really fill by speaking to people who were reading US romances long before I started studying them. I can work out what NDN means, but what do the letters stand for? The most common image of the cowboy is a gun-toting, boot-wearing, white man - like John Wayne, or Clint Eastwood. So is Garlock even right about what was going on in the West or not? I feel like I'd need to do a whole lot more reading to be able to be sure one way or the other. It's an abbreviation common in the Native American community. Some prefer NDN to other terms. The proposed Virginian bill doesn't seem to show any sign of contempt for white women married to Native Americans. There's a lot of writing from a point of 'everyone knows' in the Savage Romance. Everyone knows that in these times... (insert racism or hollywood western tropes or presumptions made from modern biases) and therefore... Everyone stayed a virgin until marriage, despite shot gun weddings, trial marriages, etc. It was alsmot unheard of to be homsexual despite... There were no black people in the court of Henry 8th, unless... I'm sure that if you fast forward a few hundred years we won't recognize ourselves in the assumptions of their books. Garlock is a special case. I actually DO recommend reading one of her books (maybe Annie Lash?) she was wildly popular and is really in love with underage heroines, rapey heros and odd power dynamics. Sort of the equivalent of some current authors (Ashley) in her class fetishes. Thanks for prompting me to go off and find out a bit more about Tudor England. Re Garlock, I'm sure it would do me good intellectually, from the point of view of getting to know the genre better, but all the same I think I'll give her a miss due to the "rapey heros": I find them too upsetting. Haven't read Ashley either. It’s Noble Savages all the way down. With this kind of othering so strongly at work in the subgenre, it’s hardly surprising that actual examples of Native American/American Indian romance authors are very difficult to come by.